Novodes System Engineering is a leading company that specializes in developing new products. Our team includes engineers, practical engineers and manufacturing personnel, who specialize in electronics, software, mechanics and industrial design. The team’s vast knowledge and experience, alongside the use of the most advanced technologies in the field, will transform your vision into reality. The company provides a variety of professional solutions in the process of development and production, applying extensive expertise, meeting strict quality standards, and emphasizing personal service. Therefore, when you choose Novodes, you choose to entrust your idea in the best possible hands. Novodes was founded and is managed by Eyal Gerber. 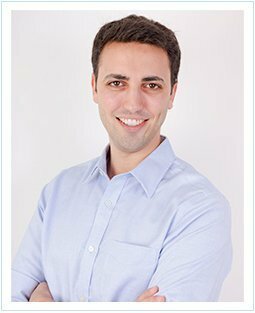 Eyal has many years of development experience in the hi-tech world. In addition, Eyal had founded Gerium Medical, a breakthrough startup in the medical devices field. After selling the company, Eyal decided to found Novodes. Eyal has a bachelor’s degree in electrical and computer engineering from Ben-Gurion University, and a master’s degree in business administration from IESE University in Barcelona. Novodes is committed to the highest level of professionalism and the highest degree of quality control. Therefore, all the company’s services meet the strictest quality standards. Among these quality standards are the ISO9001 international standard for quality management systems, and ISO13485, a specific standard for medical devices development and manufacturing. These properties ensure that you will get the highest quality product. We at Novodes believe that a dedicated service is essential in achieving the best possible outcome. Our goal is to get a thorough understanding about you and your vision, and to be at your service every step of the way. For this purpose, each project is assigned an engineer that acts as a direct contact, who is available to you at all times. We make sure to update you about all the stages of your vision, until it becomes a realized, practical and applicable reality.